The GN 4490 Zinc Die-Cast Ball Catches from JW Winco are designed to hold flaps and doors that are opened or closed frequently. 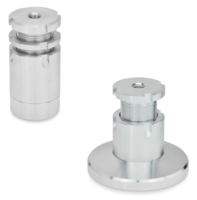 The catches consist of a ball housing and a retaining element. 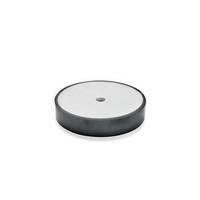 These units are offered with either black or silver powder coating and feature a textured finish. 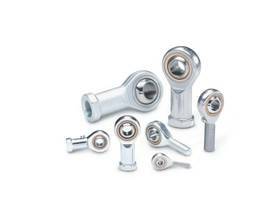 The Catches’ ball and spring is made of stainless steel whereas the ball guide is made of plastic. 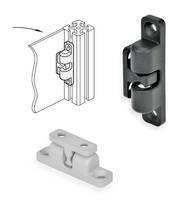 The product can be used with aluminum t-slot profile systems as a door latching mechanism. NEW BERLIN, WI – JW Winco, Inc., A Ganter Company, a leading supplier of standard industrial machine components, now offers GN 4490 Zinc Die-Cast Ball Catches. JW Winco’s GN 4490 ball catches are used, for example, to hold flaps and doors closed that must be opened and closed frequently and easily. 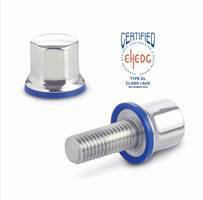 They consist of a ball housing and a retaining element that engages in the ball housing from the side or front. The installation orientation can be chosen as desired. 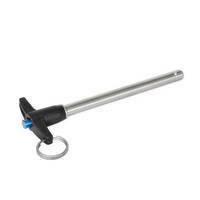 The ball catches are powder coated in either black or silver and have a textured finish, the ball and spring are stainless steel, while the ball guide is plastic. JW Winco, which is ISO 9001:2015 certified, is located in New Berlin, Wisconsin, with sales locations in Canada and Mexico. For more information, contact JW Winco at 800-877-8351, by fax at 800-472-0670, on the Web at www.jwwinco.com, and via e-mail at sales@jwwinco.com. Magnetic Catch secures cabinet doors. 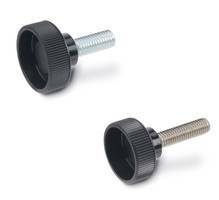 Shutter Slide Bolt features anti-rattle spring.